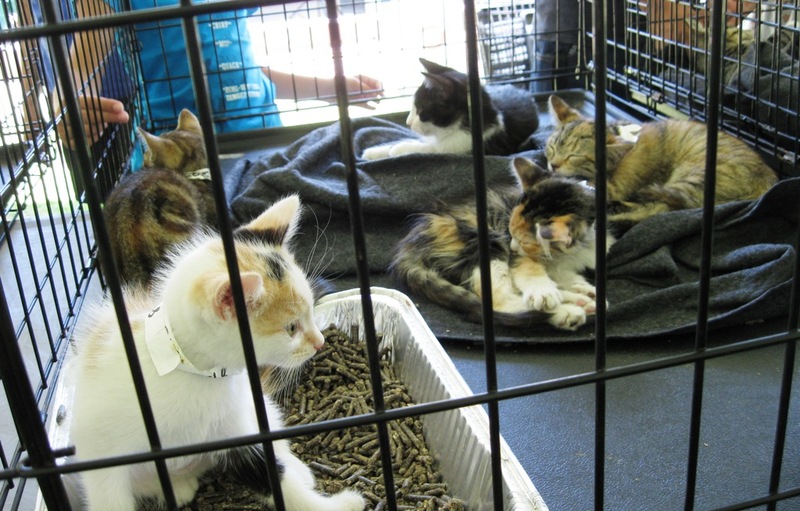 Today on a hot California Saturday there was a “Mega Adoption Event” in Yucaipa. It’s a wonderful event sponsored by local adoption, rescue and shelter agencies to try to adopt the numerous rescue animals, plus offering low cost microchips and vaccines for your pets. Having a free day I decided to go ahead and go. My hubby is always a little nervous when I go to these things because I might cave and bring home a new member of the family. 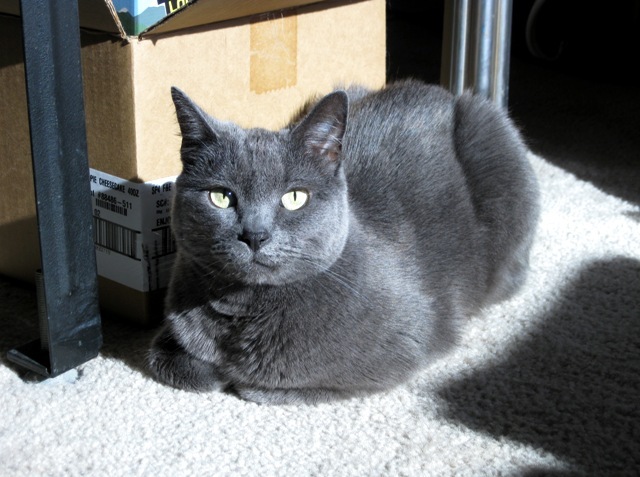 He is afraid to upset the balance we have with our sweet Russian Blue who is now the queen of the household since her “sister” cat passed away 2 years ago. And I have to admit, as much as I love to see the kitties, it also tears at my heartstrings. I want to take them all home! Even when we go buy supplies at Pet Smart I can only look at the cats for adoptions for a short time as I get very depressed. What a wimp! At this event the dogs out-numbered the cats about 4 to 1. I have to admit some were certainly adorable! Of all the animals there, I think it would be very hard to pick just one. You would have to find the one that looked you in the eye and made you fall in love! I adore cats and support TNR, but being so wimpy, I have to help the cat community in other ways, such as donations or spreading information on social media. 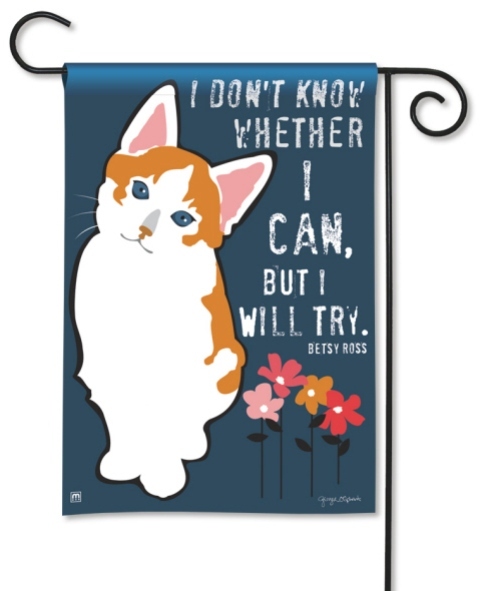 Plus I have a website that offers gifts and décor for cat lovers. Are there others out there that feel like I do? I’m here to testify! Will you join me? In part I of my search I talked about some great new decorated cat tag pendants. Today I’ll tell you about one new product line I now have on my website, plus a new style on a regular line. 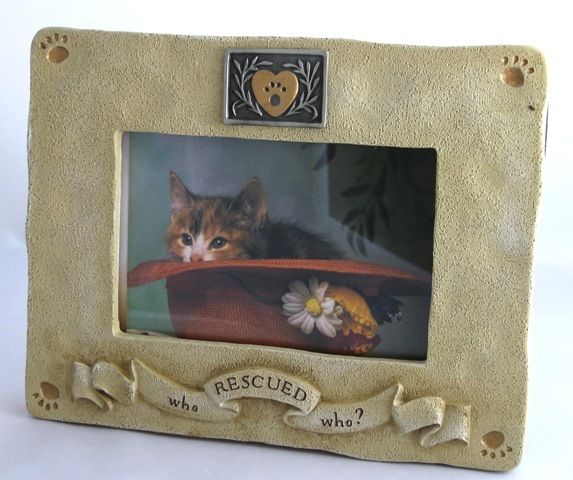 I was very excited to find a whimsical and heartwarming group of cat frames , cat mugs and message stones. Unfortunately, as sometimes happens in the world of retail, the mugs were out of stock for a couple of months. I loved the mugs, but the frames are still outstanding and hold their own. There are several styles, and I’ll show you a couple here, but my favorite is the one that says, “Best. Cat. 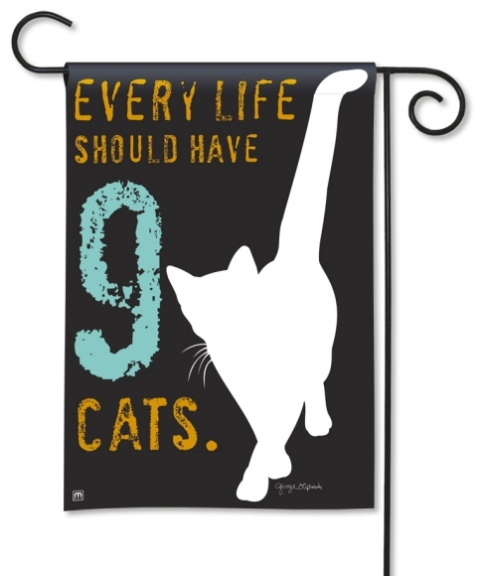 Ever.” Of course, if you have several cats, you might have to get several frames, because aren’t all your cats the Best Ever? This frame will warm your heart! If you have a rescue pet, sometimes you wonder, who rescued who? They come into your life and fill your heart with love and joy. 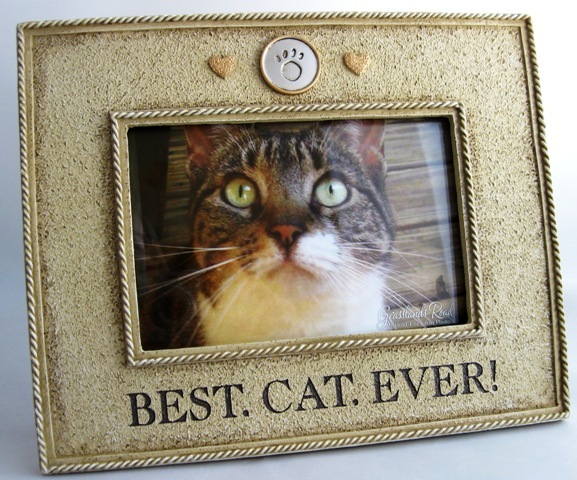 Give them a place of honor with this photo frame. Do you love Calico kitties? See our new design of a magnetic mailbox cover along with a matching standard flag and garden flag. This attractive cat art by Susan Bourdet will capture your heart. Team it with a flag to decorate your porch, yard or garden. 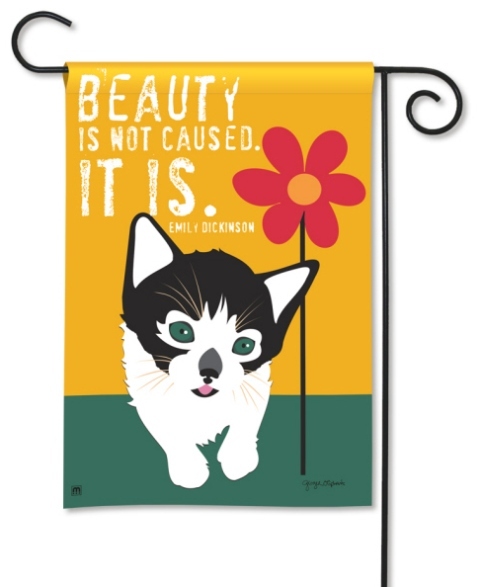 Next, check out these new bold and colorful garden size flags with quotes. The striking art is by Ginger Oliphant. I hope you like these new additions to our website! We have more items coming, such as new Claudia Sanchez ceramic tiles (Part III) and some restocking of the popular Laurel Burch cat handbags and scarves. And as always, we welcome any comments on these products and suggestions on new ones. Let us know what YOU want! Cat Road Casualty- What Would You Do? This is not a fun topic, but it is reality. This week driving to work I came across a dead cat in the road. In the past I have stopped and pulled a cat’s body to the curb so it would not get run over again and possibly the owner could find it. This time I did not have the heart to do it and drove on after looking to make sure that it was indeed a casualty. But it has been weighing on my mind ever since. I know everyone has seen cats in the road. What should you do? Should you call animal control? Knock on doors to try & find the owner? Take it to a vet? I do think if it was still alive I would do this, IF it would let me near. I go through a lot of emotions when I find a cat like this. My first reaction is a deep sadness for the poor cat. I say a little prayer for his soul and hope that he went instantly. Next I feel anger that the owner let the cat outdoors. I am a definitely advocate for keeping your pet indoors. How many thousands of cats have to die by cars, coyotes, snakes, poison and more before people see the good sense of this? I’m planning to make sure I stop next time there is a poor kitty in the road. But I would like to hear from you. What would you do? Tell me your stories. And go give your kitty a kiss and scratch and be glad it is safe and sound with you, INDOORS. Me and our lovely Dessa. 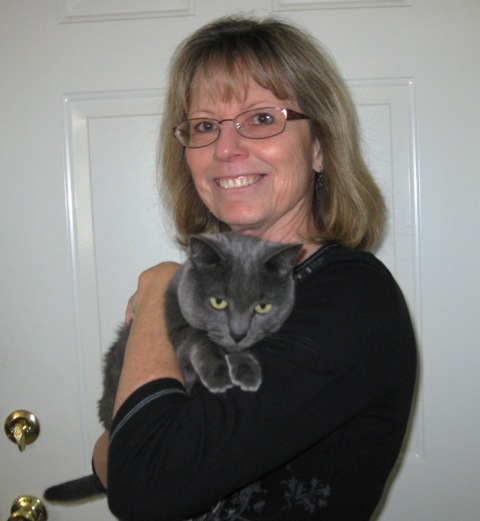 By now, everyone has probably read about the rescue of longtime missing hiker, Margaret Page, AND her cat, in a New Mexico national forest. There is some controversy on why she was lost so long, but that will be argued somewhere else. Maybe this stretches things a little, but I do believe the loyalty and companionship of Maya (Miya? ), Page’s cat, is how Page survived the near month ordeal. Of course, I thought it was a little unusual to be hiking with your cat in the first place. Did Page carry the cat in a backpack? Or did the cat walk beside her? They must be a very attached pair with a strong bond, as the cat stayed with Page the entire time. That is fortunate, as there were bound to be a lot of predators that would have loved a tasty meal of feline. The cat has also been said to have done some “hunting” itself and although thin was in better shape than Margaret, who lost about 25 pounds. They were so lucky there was drinking water nearby! But they stayed together and were finally rescued. Separated for a night, they are now reunited amid all the limelight, waiting for life to get back to normal. I’m very happy for them both! What do you think about hiking with a cat? Is it something you would do? I think I will pass on that myself. By now many of you have read the facebook story about Jack the Cat. If not, he is a beautiful long hair cat that was lost in the AA baggage area at JFK on August 25th. He now has his own facebook page so you can track his story. Recently a FAQ section was added to get everyone up to speed about him. I have posted a link to that below. At first I was a little suspicious that this was all a PR attempt for fame. But it’s gone too far to be just that. Now I believe the poor cat got out of his cage and is hiding, or he was stolen. AA seems to have this whole story on a “low priority” to me. Either that or their lack of communication is making them look very bad. Of course, Hurricane Irene also impacted the whole situation, having the airport closed. Traveling with pets in any form can be traumatic. I would be terrified to put my cats in the baggage area of an airplane and I’m sure the owner, Karen, was not happy about doing it. At least some airlines now allow smaller animals to be on board in a carrier. My heart goes out to Karen and I hope this story has a happy ending. She would probably appreciate hearing some good stories about pet travels if you have them. No, this is not about a cat show. This is about a wonderful event planned in the Ontario, CA area to aid in the feline overpopulation problem. This event addresses the sad, sad reality that over 2 million cats and kittens in shelters across America are humanely euthanized each year. And cats are more likely to be put down because of lack of identification. On Wednesday & Thursday, the 17th & 18th of August, the Inland Valley Humane Society & S.P.C.A. 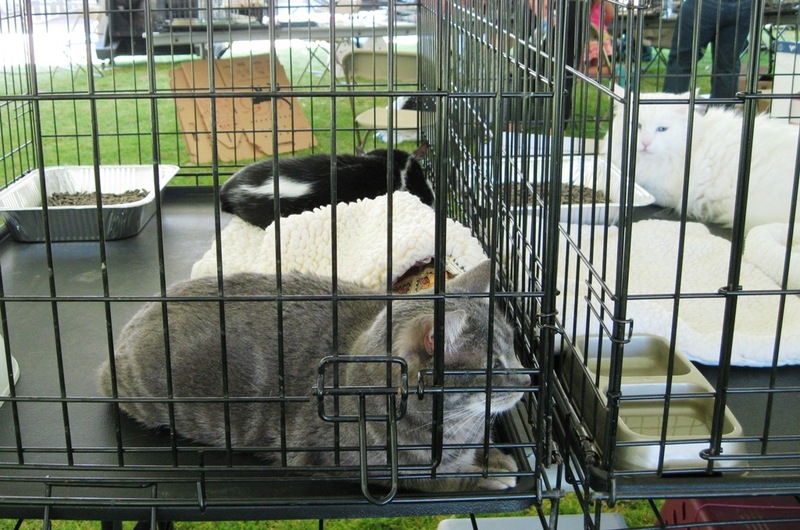 along with Pet Connections Inc. are hosting the “Big Meow”. This is a no-cost spay and neuter event for owned, outdoor cats (females on Wed., males on Thurs.). Funding is by local, caring donors in the community. Cats participating must be between 4 months and 7 years old and live in the S.P.C.A. service area of Chino, Claremont, Diamond Bar, La Verne, Montclair, Ontario, Pomona and San Dimas. Owners must provide proof of residency. Qualified owners are encouraged to call for an appointment and more information at 909-623-9777, ext. 669. 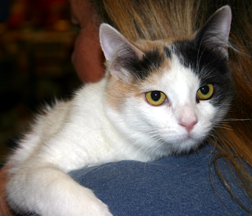 Inland Valley Humane Society is located at 500 Humane Way, Pomona 91766. Hats off to this group for providing this service. Maybe other caring people will take the chance to be more proactive and the “Big Meow” could take off across the country!! I want to highlight a special place for the abandoned big & small cats! I happened to read an article in a magazine about this sanctuary and was captured by it because they specialize in both exotic cats and domestic cats. They serve as a caretaker for abandoned, abused, homeless and neglected felines. Some of the stories you can read on their website or in their newsletter will break your heart. It is unbelievable how some people in this world can treat animals. Luckily there are caring individuals like C. Kay McElroy, the director of Cedarhill, to take on this responsiblity and devote their lives to it. There is a daily struggle to make ends meet and keep the animals well and safe. They do not breed, sell or exhibit any of the animals they take in. 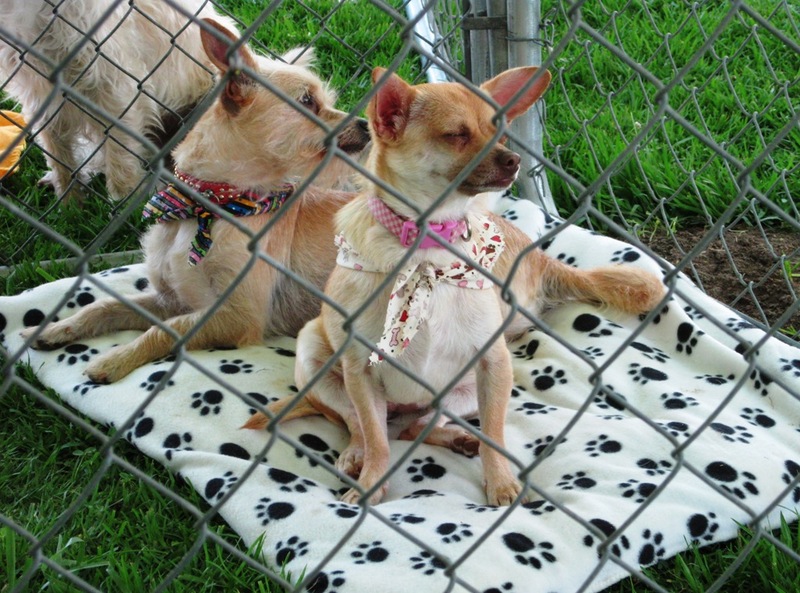 I invite you to visit the Cedarhill Animal Sanctuary site and read stories about many of their rescued animals. Maybe you’ll want to give a little yourself to help them out! "Nader", a rescued kitten from the tornadoes.